The Vincennes community can best be summed up as “Small Town Living with Big City Flair”. Vincennes offers many of the amenities found in larger cities but is coupled with the same type of citizen interaction and environment that is found in small towns across the Midwest. One common mainstay about Vincennes is its history. As the first city founded in Indiana, originally a French fur trading outpost, Vincennes served as the home of the United States’ ninth president, William Henry Harrison during his governorship of Indiana. Many of the early city buildings display direct influences of French architecture, while many buildings and homes in the Old Town section of Vincennes are dated pre-1900. The City of Vincennes is also one of only 3 communities in the entire state of Indiana with a National Park within our City limits. The George Rogers Clark National Historic Park & Monument is located in the southwestern corner of the City. Anchored by the Good Samaritan Hospital, Vincennes’ health care capabilities are comparable to larger cities. Serving southwest Indiana and southeastern Illinois, GSH, which contains over 260 beds, utilizes advanced technologies, but has remained committed to an atmosphere of personal, compassionate care. Other health care facilities and organizations in Vincennes include the Wabash Valley Respiratory Clinic, Good Samaritan Lincoln Trail Hospice, P.A.C.E., K.C.A.R.C. and Generations. The Vincennes Community School Corporation provides education for over 3,200 students across the city. 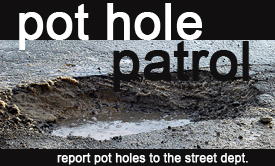 The school corporation includes Lincoln High School, Clark Middle School, Riley Elementary, Vigo Elementary, Tecumseh-Harrison Elementary and Franklin Elementary. Another option for parents is the Vincennes Catholic Schools system, which is made up of five schools throughout the City. Higher education is also a strong point for Vincennes. As one of the oldest institutions in the country, Vincennes University serves over 5,000 students offering Associate in Science, Associate in Arts, and Associate in Applied Science degrees. 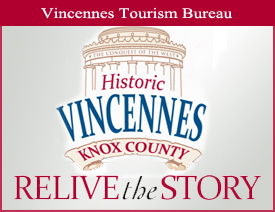 Vincennes and Knox County offer a wide variety of activities for families and individuals. Whether looking for a place to find solitude or to compete on a sports team, Vincennes has what you need. Vincennes University, home of the new Red Skelton Performing Arts Center, offers a full season of dramatic and musical productions, while the non-profit community theatre Old Town Players offers many presentations each season. Vincennes YMCA, located on 26 acres, provides a long list of activities ranging from sports, fitness, gymnastics, aquatics, arts and camps for all ages. Other sporting activities include the Vincennes Youth Soccer League, Vincennes Cub League, Girl’s and Women Softball League and the South Knox Baseball League. Many parks dot the landscape of Vincennes as well. These include the 40-acre Gregg Park, Kimmel Park located on the banks of the Wabash River, Four Lakes, Lester Square Park, Chicago Park, Kelso Creek Park and the Vincenness Cub League Complex, which is home to five lighted baseball fields. If you would like more information about the Vincennes and Knox County community, please visit the Knox County Development Corporation or theÂ Vincennes Tourism and Visitors Bureau.